Before the start of the workshop, this pig carcasse has been placed outside and allowed to start decomposing. At a certain stage of decomposition, unkown to the particpants of the workshop, the carcasse has been removed. 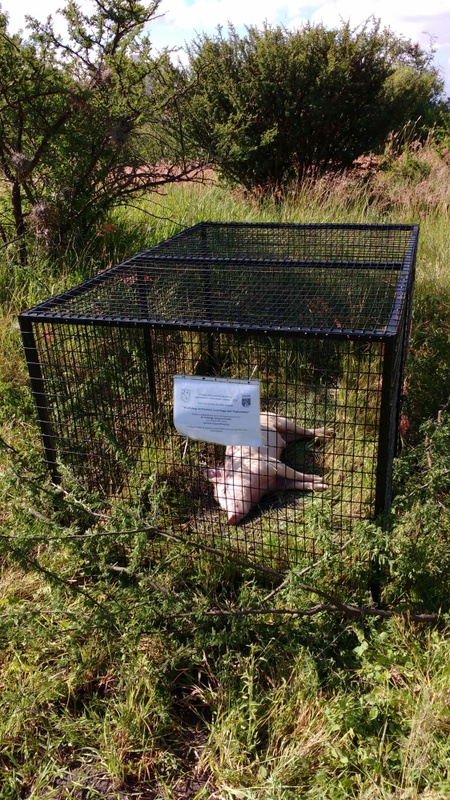 Later on, during the workshop the participants will be asked to collect surface and soil samples, separate the mite fauna, and determine with the help of acarologists, at which stage of decompostion the carcasse was relocated and from which environment this particular pig came when it was last alive.